Each week host Joseph Thornley hopes to talk to you about best practices, case studies, and research in effective public participation. Sometimes he’ll go solo. Sometimes, he will have guest hosts. And sometimes, Joe will post interviews. 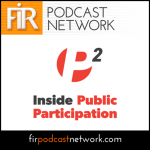 Kylie Cochrane, Chair of the International Association for Public Participation, talks with Joseph Thornley about the IAP2 and the international public engagement movement. On the last afternoon of the North American Conference of the International Association for Public Participation (IAP2), Joseph Thornley sat down for an interview with outgoing IAP2 Canada President Bruce Gilbert. Hillary Hartley, Ontario’s Chief Digital Officer, talks with Joseph Thornley about her role and the Ontario Digital Service. Open dialogue: The answer to post-fact populism? Don Lenihan talks with Joseph Thornley about open dialogue and deliberation, when they may work and what it will take to make them successful. 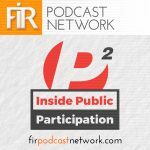 This episode of Inside P2 focuses on six steps you can take to make your online public engagement more accessible.